A day for those who hunger for depth in life. We are delighted to welcome Professor Mark Burrows to lead the day. Mark is a poet and scholar of medieval theology and professor of religion and literature. 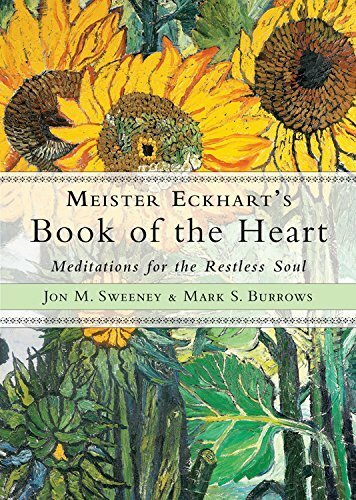 Our focus will be Meister Eckhart, a 13th Century priest and mystic and one of Christianity’s greatest literary and spiritual voices. The freshness of Eckhart’s imagery and the depth and universality of his teaching has attracted spiritual seekers, both Christian and non-Christian alike, down the centuries. Eckhart wrote at a time – much like our own – when society appeared to be coming apart at the seams. The day will offer a chance to live into Eckhart’s wisdom, drawing on poetic rendering of Eckhart’s teaching by Mark Burrows, together with selections from Eckhart’s sermons. 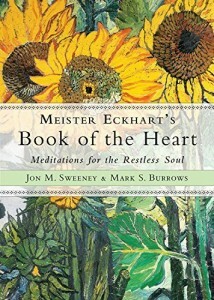 The question that will guide us, as it did Eckhart, is what it means to live into love as the very heart of our lives? No prior knowledge of Eckhart required. Bring a packed lunch. Tickets available through Eventbrite: £22 standard, £14 concessions. 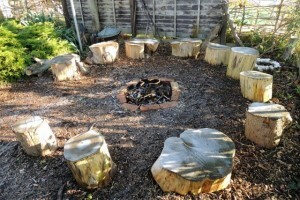 Join us at the beautiful Plot 22 in Hove for ritual, song, food and fellowship. Into our Spring fire we will shed our winter skin and open ourselves to the wonder of this awesome happening, ‘when spring and life are new’. We will garden, cook and take time for an experiential practice, then share the findings with each other. If it is chilly or wet, we can seek the comfort of the well-equipped hut with its wood-burning stove. Limited numbers – confirm your place by emailing info@centreforspirituality.org Suggested donations: £5 – £10 towards the work of Plot 22.